AND Labour party members and supporters turn out in Green Tshirts to somehow advertise their environmental credentials; only I thought (and still do) that they were normal friendly Greens in conversation with the Red Tshirt brigade! 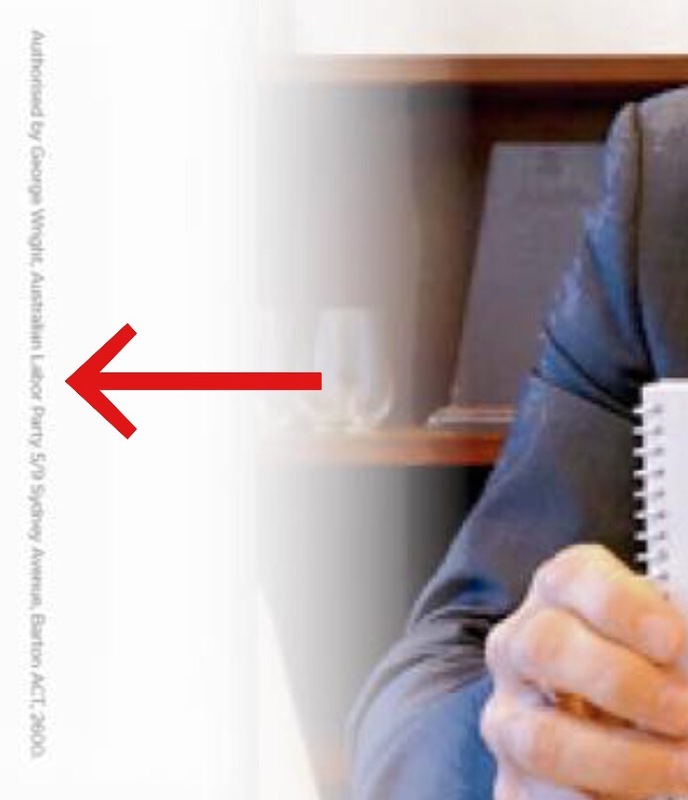 Bit of a “faux pas” by Labor. They’re rapidly losing what little respect I still had for them. 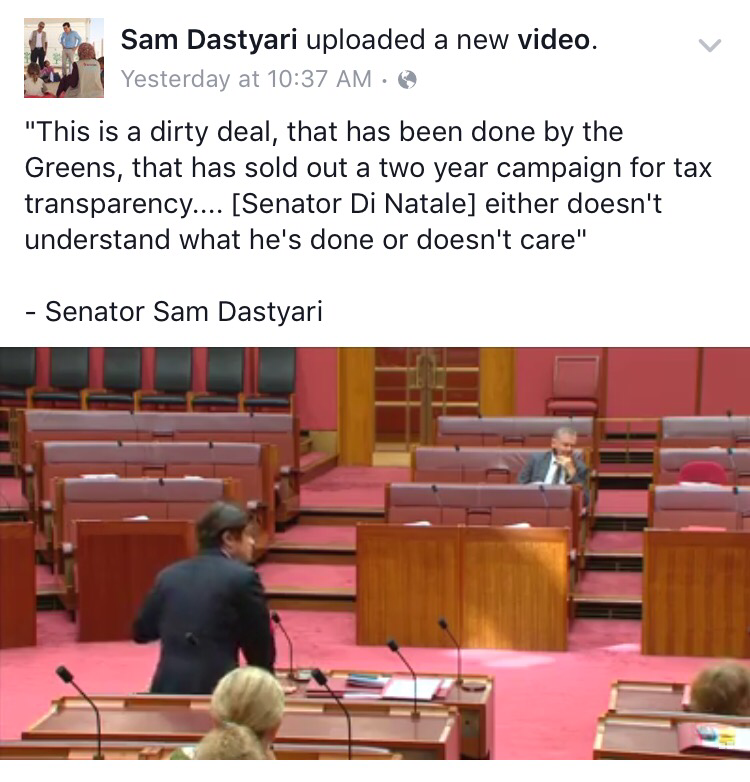 I want a decent government, a Green / Independent government. 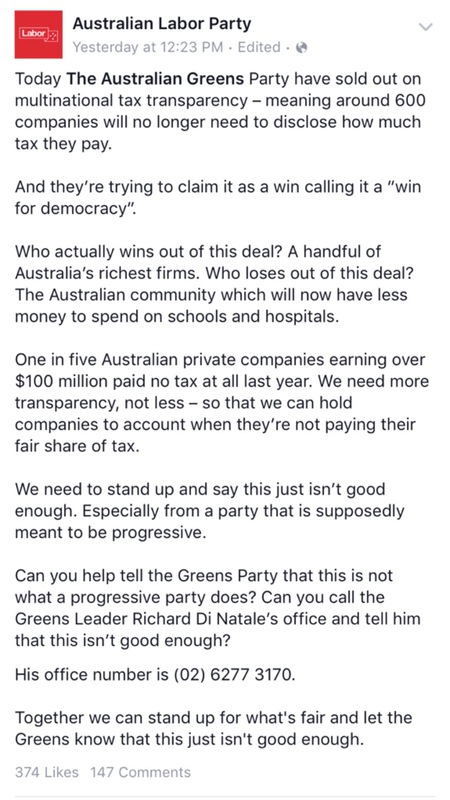 This looks a bit like a rant designed to cover up the fact that the Greens have stabbed the Australian taxpayer in the back again. What did they negotiate in return for this great deception? 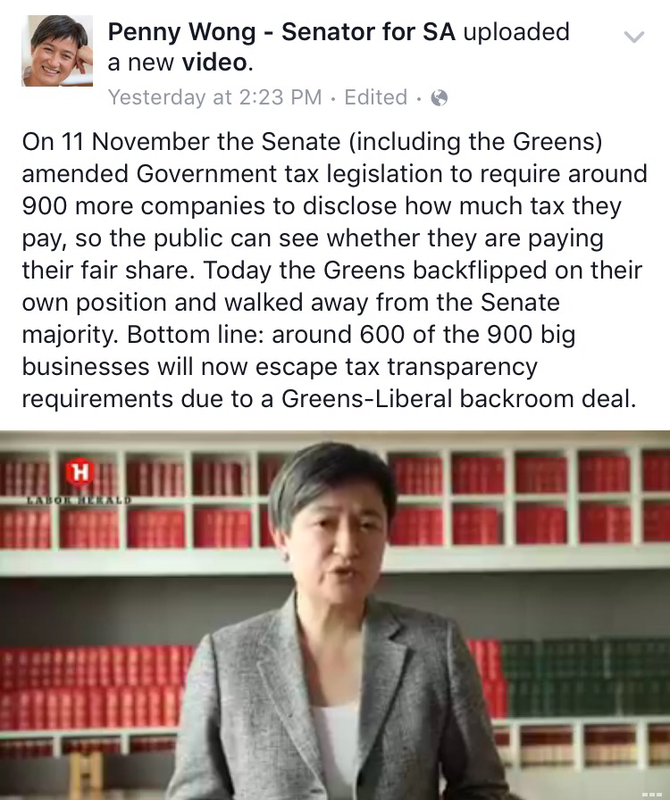 The ALP had the numbers to force the bill through the senate forcing ALL of the companies to disclose their tax but only with the Greens numbers. 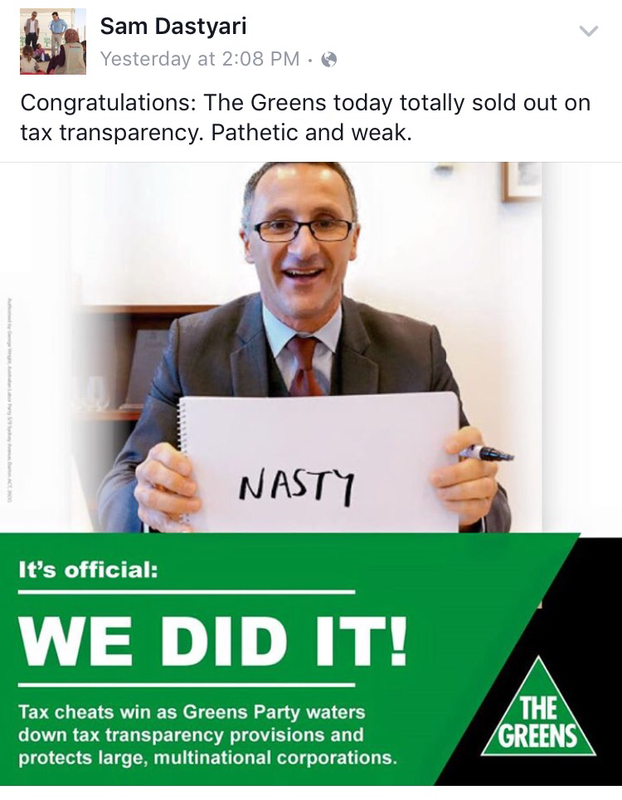 This is some unbelievably stupid or corrupt behaviour from the Greens (feel free to pick which one) and I am amazed that the Greens could even try to go on the attack after this instead of hiding their heads in shame. The numbers might have been there in the Senate, Kate, but they weren’t in the House. 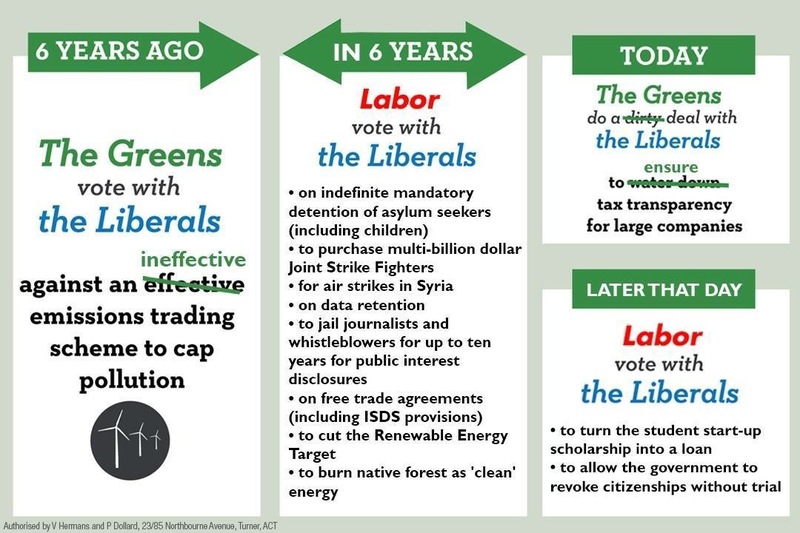 If the Greens hadn’t negotiated with the govt in would have be a moral victory but not a practical one. So it’s version of we need to do something, this is something, therefore we need to do it. Sometimes principle is more important than an inadequate something. This is such a time, particularly within the current discussion of taxation.